Custom Crate & Wooden Box maufacturing, packaging services and worldwide shipping. Caseworks Crating and Packaging, manufacturer of a large variety of custom crates and wooden boxes and packaging services plus complete shipping services to any commercial, industrial, or residential customer. 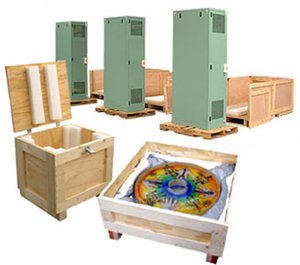 Complete engineering and production including these crating and shipping services.